Dyk ind i Acapulcos historie og arv med en lokal guide, der deler højdepunkterne i byen. Se San Diego Fort, Katedralen, Diego Riveras mosaikmaleri, og tjek indkøbsmulighederne på det kommunale marked (Mercado Municipal). Du vil også se klippernes dykkere hoppe fra svimlende højder ved La Quebrada, stoppe på Flamingo Hotel - historisk populært med Hollywood-stjerner, og få tid til at købe frokost på en charmerende restaurant på stranden. Inkluderer guide, adgangsgebyrer og hotel eller afhentning af havne og afgang. We had a lovely time. We really enjoyed it, especially the market! Highly recommended. This particular tour was outstanding! Our guide, Rudy, was very knowledgeable about the culture and places we visited and very willing to answer all of our questions. I still cannot believe what we packed into four hours and it was not at all rushed! Tour was well-planned for visits to historical and cultural places, as well as entertainment attractions. This tour was the highlight of our trip to Acapulco! As a history buff I just loved visiting The San Diego Fort. Built in 1616, it was intended to protect Acapulco, the main port of the western coast of Mexico, where the ship from China arrived delivering a lot of Asian goods that would cross by land to Veracruz in the Gulf of Mexico, from there to Cuba and then to Spain. It is a nice museum, pretty well kept and in the downtown of Acapulco with a good view of the bay. We also visited the municipal market was awesome, I always visit the markets wherever I go as in my opinion is the best way to get to know and learn about the country, the one of Acapulco surely not disappoint, colorful and interesting, my favorite part was the witch doctor visit. Thank you Arturo for a great day! 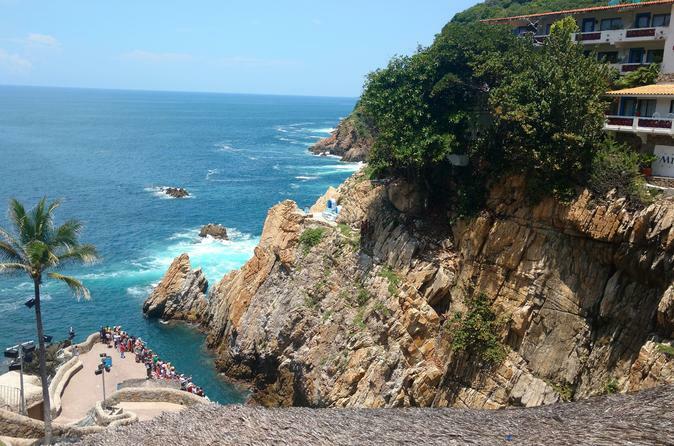 Our experience in Acapulco was one of the best tours weve ever had. Rudy is an excellent guide very informative and well spoken and his associate Umberto was very helpful and friendly. We learned all about the history and people of Acapulco. Our visit to the local market was the most surprising and educational part of the tour. The locals were happy to see Americans in their market where fresh vegetables, fruits and flowers were being sold along with all types of crafts and products were also being traded. The historical Fort San Diego was magnificent and maintained beautifully, the Cliff Diver show was as expected a must see daredevil event. The Diego Rivera murals are beautiful and if youre an art lover like I am this is a must see. My wife and I thought this tour was the best value weve ever had. Acapulco is better and more beautiful than we expected if youre visiting there you should definitely have Rudy and Umberto show you the town. Rudy is the best, we received so much information and got to see things in the market that only a native Mexican could have shown us. He is so knowledgeable and kind. Rudy and his partner Santiago each had their strengths and allowed each other to convey their expertise. Such a wonderful tour. Roger and Jose are a wealth of information and it shows the love the city where they live as much as sharing their knowledge about this city. 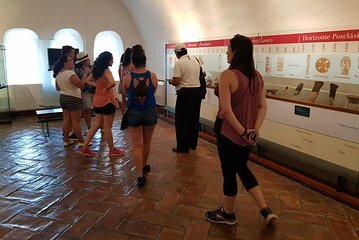 The fort of San Diego is the home of a very nice museum we visited for no less than one hour and a half, the visit to the mural of Diego Rivera was very interesting not to mention that the diving exhibition was a treat, all in all a great excursion. Thanks Jose and Roger.